After Philippines has withdrawn from the International Criminal Court, President Rodrigo Duterte threatened to arrest United Nation Human Rights Investigators who would like to interfere sovereign and justice process in relation to war on drugs of PH administration. He also slammed ICC prosecutor Fatou Bensouda for insisting on conducting an investigation, even though the Philippines is no longer an ICC member. 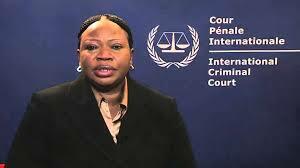 “I said, you can never call me to the International Criminal Court simply because your position is flawed. It cannot be corrected anymore, so stop your nonsense,” he said. He cited the genocide in Burma, Myanmar today, was overseen by the UN despite of the severe human right violations, referring to Rohingya refugees fled out from intimidation and religious insult and isolation.